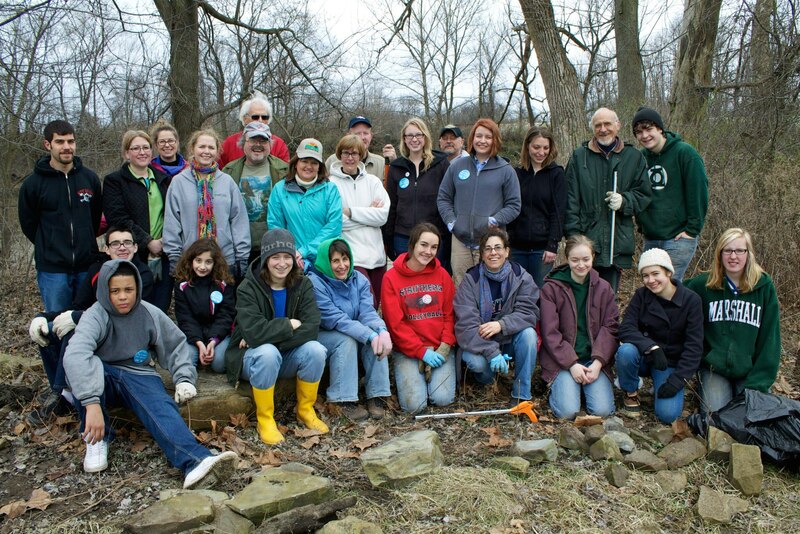 Friends of the Mahoning River teamed up with Sierra Club Clean Water Campaign Ohio to clean the shores of our river behind Vallourec Steel in April 2013. Volunteers cleared tires, chairs, hoses of great length stuck in the ground, and lots of steel parts. FOMR installed treated lumber benches in three areas along the shore so that visitors walking their dog or looking to fish would have a place to sit and enjoy the river. Jeannie Gaetano of Vallourec Steel provided fresh fruit, granola bars, and bottled water for participants. Jennifer Jones with the City of Youngstown provided free Youngstown Litter Control t-shirts for all volunteers. Jennifer also provided the club with long handled trash grippers, and provided trash pickup.